If you are planning to build a new website, you must understand that web design, development, and SEO work together to make a site successful. The beauty of a website alone cannot win the race in the highly competitive industry; proper optimization is just as necessary. That is why today’s graphic and web designers need to learn what design elements are SEO-friendly and contribute to high ranking in the SERPs. If you are new to this and lack in-depth knowledge, it is natural for you to get overwhelmed with the vast amount of information available on the subject. To make it simpler, we have presented some top tips that you can start with. You may design the most graphically pleasing site that looks great on the computer and still fail to reach the top of the search results! The trick is to combine SEO and creative graphic design to create a site that can win the search engines. Due to Google’s latest mobile-friendly algorithm plus the increasing rate of smartphone usage, it has become crucial to have a responsive site that looks amazing on all devices and displays. Not having a responsive design can even get your site penalized. When developing a website or a blog, it is essential to give the web pages relevant URLs. Search engines do not value ambiguous URLs. For example, the ideal URL structure of a Utah based fashion website would be “www.sample.com/fashion-design–in-utah/” rather than “www.sample.com/post/gpu145367.pl/.” When it comes to ranking, ambiguous URLs never fare well since Google crawlers prefer URLs to describe what a page is about clearly. Consumers today want information fast. They hate waiting for a site to load and are quick to ditching slow loading websites in an instance. It increases bounce rate, which has an adverse impact on search ranking as well. If you have a graphics-heavy site, it is crucial that you optimize the visual elements to improve site loading speed. It is all about images and colors. Striking images and excellent graphics can impress everyone. Even though these classic and meaningful images can enhance a site’s appearance, optimizing them for search engines is a must. You can compress the images to a smaller, suitable size without compromising on its quality. Bulky images can affect the speed. Another important aspect to ensure while using graphic designs is to tag the images appropriately for the search engine crawlers to categorize it. Google crawlers cannot appreciate the beauty of the images but look for the alt text and image tags to identify what it is all about and decide how to rank it. While putting in tags and descriptions, always make sure that they are relevant to the context of your website content. When the users access your site, it is important to give them clear cues to find what they are looking for. Ensure that your shopping cart, subscription offer, contact info, and customer support are obvious to them. Trying to bring in more complicated design aspects to show off your technical expertise will have an adverse impact on SEO. Do not stuff the pages with too much content. Minimal and simplistic coding is the sign of a professional developer. Professional designers now almost quit using Flash during designing. Most of the internet devices and search engines do not respond to Flash anymore. So, it is advisable to avoid Flash altogether or use it at a minimum only if necessary. Do not use Flash for navigation, to your text, or any other critical element on the web page. A few other things which designer need to follow now are the use of easy navigation, appropriate usage of CSS Image Sprites, printer friendly designs, latest HTML5 and CSS3. Suitable graphic and web page design can ensure optimum SEO value to your web pages and take it naturally to more users. Guest article written by: Kim Alexander is a serious blogger with a lot of experience in technical writing. She covers topics such as SEO, paid promotions, web site design and development. 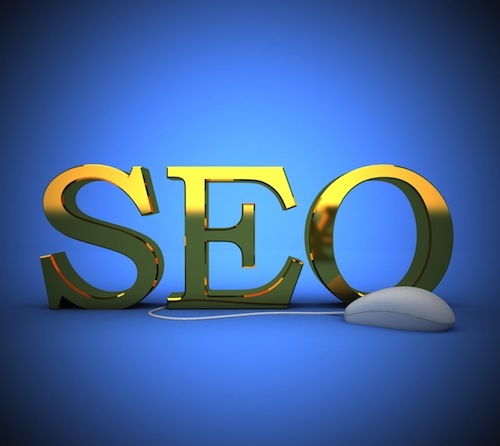 She also runs a search engine optimization agency to offer SEO services. She has worked with both small to midsized businesses from all over the USA. Awesome post! Thank you for sharing this informative guide. Planning to build one soon. This is such a big help! Previous post: Will Apple’s $1 billion investment towards video streaming services fuel its next phase of growth?